Gala is an apple with a mild and sweet flavor. 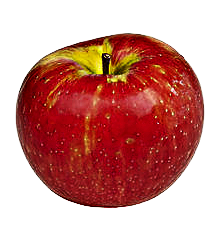 Gala apples ranked #2 in 2006 on the US Apple Association’s list of most popular apples, after Red Delicious and before Golden Delicious, Granny Smith and Fuji (in order). They are sweet, fine textured and aromatic, can be added to salads, cooked, or eaten raw, and are especially suitable for creating apple sauces. The Honeycrisp, was once slated to be discarded, has rapidly become a prized commercial commodity, as its sweetness, firmness, and tartness make it an ideal apple for eating raw. It has much larger cells than most apples, which rupture when bitten to fill the mouth with juice. 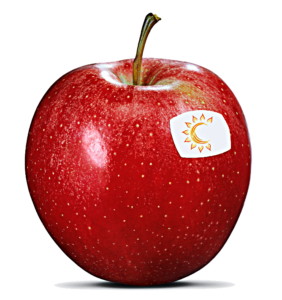 The Honeycrisp also retains its pigment well and boasts a relatively long shelf life. 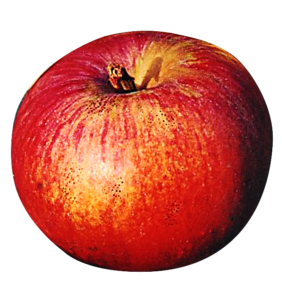 Classed as a “bittersweet” cider apple, Dabinett has small, yellow-green fruit flecked with red color. The tree has a relatively small and spreading habit; it has a high resistance to apple scab and canker. The fruit is used to make a single varietal cider with manufacturers producing ciders made solely or primarily with Dabinett. 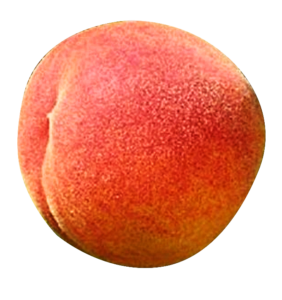 Allstar Peaches present a beautiful 90% to 100% bright red skin color with clear, non-browning yellow flesh. 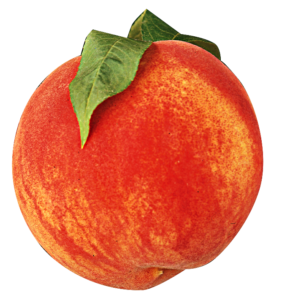 The peach is very large and firm with good shipping and storage qualities. It will keep for several weeks in the cooler. Allstar® is a medium-size, stocky tree with a spurring character. The fruit is resistant to bacterial spot. The world’s largest peach! This variety set a world record for largest single peach — weighing in at more than 1½ pounds! It has outstanding size, color, with very high yields of firm flavorful, sweet fruit. Introduced around 1996. Freestone. Ripens in early August.